A one stop shop for summer fun. Few places offer the unique constellation of attractions that this iconic Brooklyn site provides. 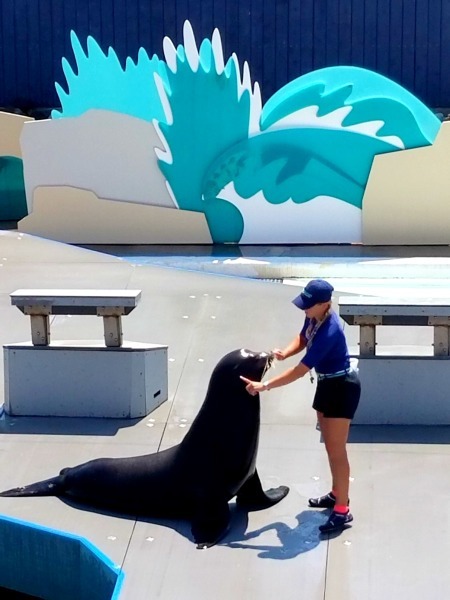 Only mere steps from each other, visitors can take a dip in the Lower Bay facing the Atlantic Ocean, ride a roller coaster or learn about marine conservation efforts at the NY Aquarium. On October 29, 2012, the 14-acre NY Aquarium sustained heavy damage due to water surge from Hurricane Sandy. Miraculously most of their sea creatures survived. Only their collection of koi fish, which require a fresh water habitat, died. May 25, 2013 the park partially reopened, but has yet to return to its former glory. Prior to the storm, the Wildlife Conservation Society owned facility was working on a shark exhibit, but naturally the project was delayed. Ocean Wonders: Sharks! is now slated to open in Spring 2018. In the meantime, a delightful 15-minute dolphin show is the highlight of the entire visit. But it doesn’t mean you won’t enjoy the majesty of Glover’s Reef, a 167,000 gallon floor to ceiling fish tank that’s the length of an entire room. Or the colorful aquatic exhibits featured in Conservation Hall. 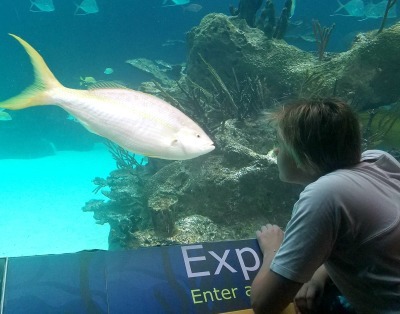 There’s a “touch” station to feel horseshoe crabs and starfish, a 4-D theater show with bubbly surprises and an opportunity to witness, behind the safety of thick glass, why sharks command so much respect as they swim past you baring their sharp teeth. 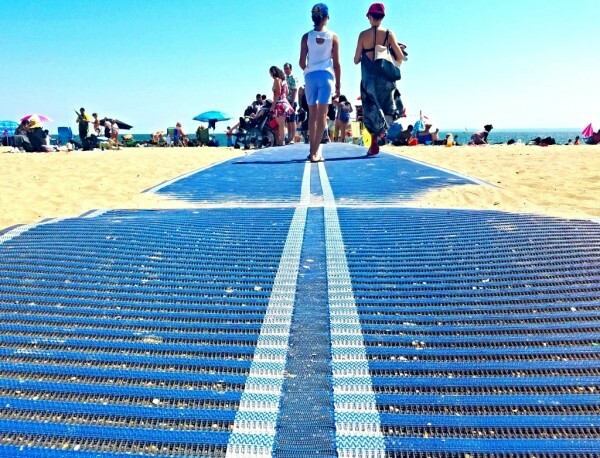 Once done, visitors often spill onto the boardwalk via a path that points out of the Aquarium. 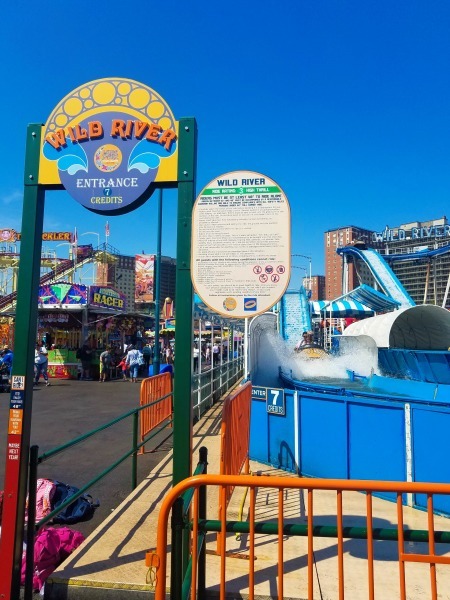 From there, you can either head south to step onto a glistening blue mat that leads to the surf or walk westward to try your luck at the games and brave the rides at the most celebrated fair in the state. Either way you go, take a bathing suit with you, because there’s a good chance you’re in for a splash. Every time I’ve driven into Brooklyn, there’s a lot of traffic. Construction is always taking place somewhere on a major roadway or it’s simply congested from the heavy flow of cars in and out of the borough. If you can, try mass transit. Parking is available for a fee at the Aquarium only for guests. 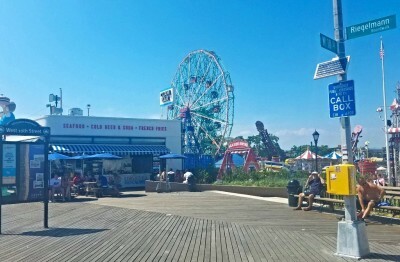 If you’re just looking to soak in the sun on the beach, ride the Cyclone, or eat one of Nathan’s famous hot dogs, you’ll have to try your luck finding a space on the street or a public garage.